The Legend of Zelda: Breath of the Wild Hands-On: No-Rule Hyrule Is An Amazing Place | "DESTROY ALL FANBOYS!" The first timed demo was a “jump into things” slice of fun where players got 15 minutes to mess around and see where they could go and what could be done in such a short time. I chose to grab the nearby torch, bow and arrows, pointed Link somewhat northeast and head for adventure. For the demo build (and probably the actual game), the GamePad was only used as a control map and other than a minor issue throwing bombs, gameplay was fluid and responsive. A few minutes of running and B-button dashing and I came across a small camp of goblin like enemies. The Nintendo rep recommended I try sneaking by, trying an all-out assault or doing whatever I wanted, but as he pointed out the noise meter on screen, I took the stealthy route around a large tree. Or attempted to. One of the goblins on a raised wooden platform spotted me and made with the blowing of a horn that sent a trio of his armed buddies my way. Oops. Fortunately, that bow I’d picked up made short work of two of the creatures, but the third one took a few more arrows to his shield than his body before keeling over. Actions now consume stamina, so just rushing in and swinging wildly is a very bad, very painful idea for Link. Out of arrows, the remaining two enemies (who were armed with bows) took some quick climbing of their respective platforms and some sword slashing to get rid of. As soon as they were dispatched, a familiar jingle sounded and yes indeed, a chest was unlocked on a nearby platform. Grabbing the item inside, I guided Link up a short hill with dried grass and spying another platform goblin, one shot to the head knocked him off his perch and into the grass below. I was out of arrows, but found two that had been shot on the way to the hill. It was pointed out that when enemies or Link use thrown weapons or drop something that’s not broken, they can be picked up and used until they break. That’s a new addition to the series that’s welcome as well. Players will be kept on their toes, but everything from tree branches, found tools and even the environment can be used to take out foes. The game looks a million times better in person, trust me. The Miyazaki/Ghibli influenced style is strong in this one. The first demo timed out as a bomb I threw exploded in that dry grass (I wanted to see a big fire! ), and the rep went about setting up the longer second demo. 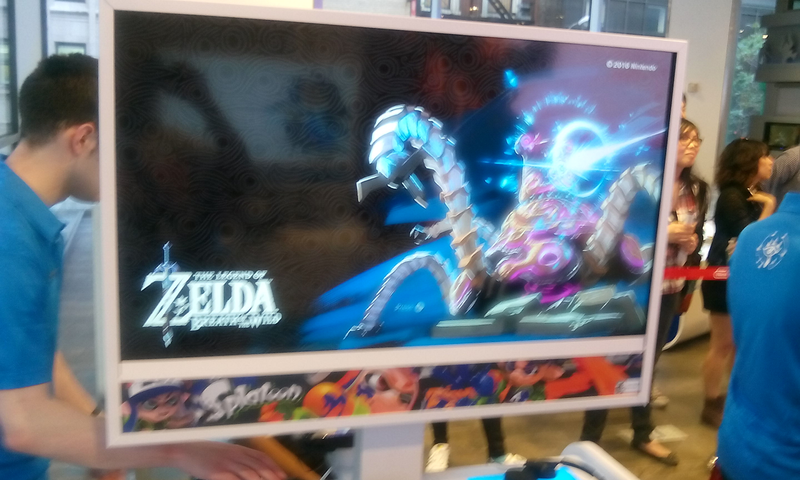 Oddly enough, this demo was the beginning of the game shown above the jump where Link awakens and sets out on his adventure. That the demo get right to the open world in under three minutes with no lengthy tutorial was wonderful. Nintendo wants players to be in awe once they leave that starter cave and set out to carve their own path. The sense of openness was initially overwhelming, but as noted above, you can go anywhere and do quite a lot while getting to where you need to be. The game seems designed to be daunting at first glance, but rewarding once you start seeing the old Zelda routines working so well to keep your interest always high. No sooner than you leave the cave and make it to the top of a hill where the game’s logo appears, you’ll spy an old man down a hill to the right walking to a small alcove. There’s no quest marker that pops up or even an urge to go towards him other than player curiosity, especially with such a wide world to explore ahead of you. Meeting him is somewhat anticlimactic yet mysterious as he’s just there to seemingly tell you to do as you please, but has a poke at the series’ expense when Link lifts a baked apple from the ground. Food is a huge part of the game, as longtime elements such as grass cutting for Rupees, heart containers and seemingly, potions aren’t part of the program. 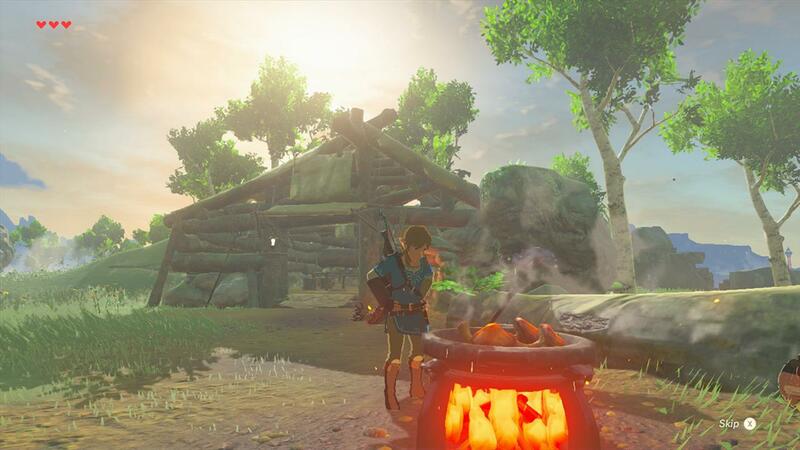 Link will need to forage and hunt for food to restore lost hearts, but animal and plant life is abundant, as are fires he can find and use to cook certain dishes. I had to wonder with a smile if the members of the dev team played Arkane Studios’ Arx Fatalis or other computer RPGs that use food, cooking and combining ingredients as a means for gaining health and other benefits. Not only is he an outdoorsy type, Link can whip up quite a feast with what he gathers up in the field. Did I mention he’s single and available? Don’t tell Zelda! Oh wait, she’s only a legend, right? I didn’t get too cook in the second demo, but I did get to blow up some enemies near a shrine who camped out near some explosives and a half-ruined structure with a boulder placed in just the right spot. A quick push cleared them out and the shrine was entered whereupon Link touched his magic stone tablet to a stone interface and promptly fainted dead away. Did I just kill off the poor guy before he could get a single story point in? Nope. That action actually set what seemed like the main plot into action as the ground rumbled and across the land, many towers rose up. A mention of Gannon was made by the disembodied female voice that told link to awaken (see that video again if you missed it), and after Link made his way down from the tower, the old man from he beginning drifted down out of the sky using a parasail and proceeded to ask Link a few brief but important questions. Right as things were getting good, the screen darkened and my time was up. I could do nothing but laugh out loud as the Nintendo rep noted that the journey wasn’t even close to beginning, but I was off to a good start. As I didn’t buy that remaster, it looks as if I now need to and replay the game on my Wii U. I’d planned to dive back into the older Game Cube version at some point this year, but that upgrade is howling at my wallet (which is always empty of late) just for the chance to use that Amiibo and save data. 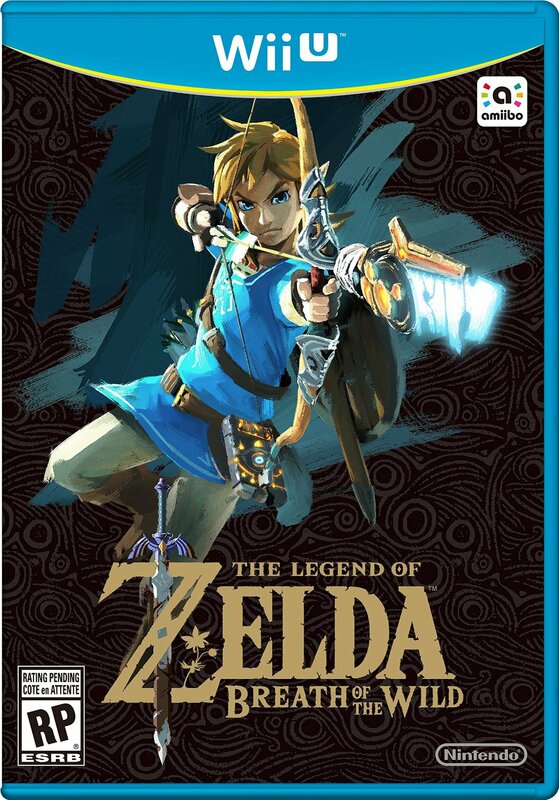 Hmmm, 1500-plus words of rambling on about this demo doesn’t EVEN touch the surface of what awaits Zelda fans young to old. My hope is that Nintendo decides to release the demo(s) around the globe in some form so that people can see and play it for themselves, experiencing that sense of wonder in its purest form as many did back on the old NES. Breath of the Wild will be taking your breath away on Wii U and NX (as a launch title!) sometime in 2017. The waiting begins and it’s a given that Nintendo is going to be dropping more bombshells over the coming months as to what new wonders this old but new Hyrule holds. I usually don’t do this, but this is a case where a pre-order of some sort is most likely going to be a big, fat MUST. This entry was posted in Commentary, DAF, Features, Updates and tagged 2017, BUY This Game, Coming Soon, Demos, E3, Events, Exclusives, Get Lucky!, Hands-On, In Development, New York, Nintendo, Nintendo NX, Nintendo of America, Nintendo Wii U, Nintendo World Store, NYC, Pre-Orders, Previews, The Legend of Zelda, The Legend of Zelda: Breath of the WIld, VGA 101, Videogame Appreciation 101, Videogame Previews, Videogame Trailers, YouTube by geelw. Bookmark the permalink. 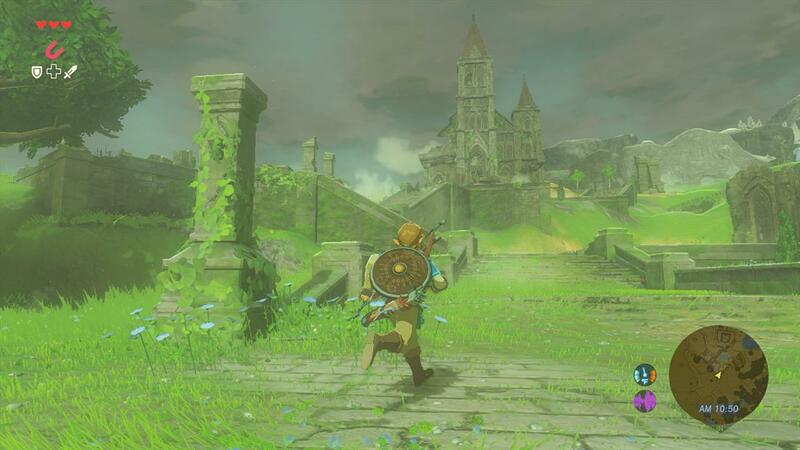 Even though I’m not usually a fan of the “bigger is better” open world, do anything and go anywhere approach… if Nintendo can blend this in with traditional Zelda gameplay, then this should be awesome! Oh, it’s a great addition to the series because you now have new things to do and it feels right because Link still has his familiar moves. It’s like the NES game in spirit, but with a modern visual kick. That battles can be handled in a few ways (stealth, puzzling out how to use the environment to Link’s advantage, straight up action) means everyone will find their own path through the game world. Link being able to climb stuff is fun (and climbing leads to discovering secrets), and overall, the blending works really well. I know gamers complaining about the open world will be the first ones to head for some of the more interesting spots they’ll see in the distance after a certain event takes place. I hope one or both timed demos gets onto the eShop at some point this year, but that’s up to Nintendo. Hyrule has always had a lot of potential for major exploration, and it seems that the later games have gotten better at this. 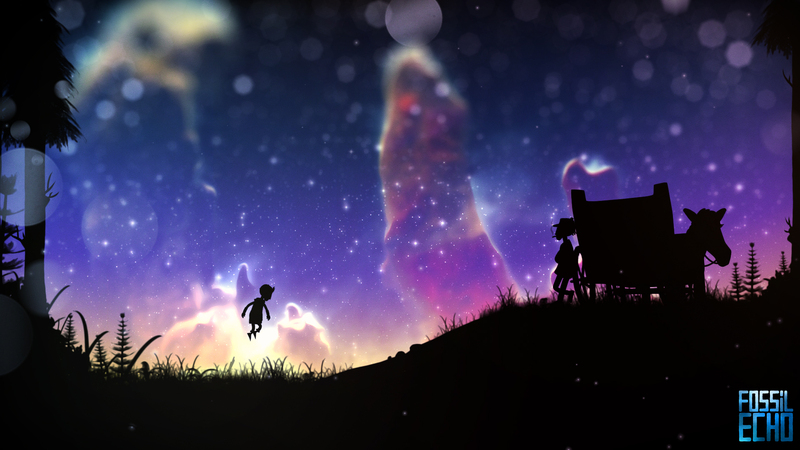 I really like the look of this game and the direction the story is taking. It’s great seeing familiar, run-down locations like the Temple of Time that beg questions. Is the old man the King seen in Wind Waker? Is this game long after the flood that sealed Hyrule below the ocean? There are just so many questions about the game, and that’s what makes it even more awesome. This was a great post Greg. Thanks for sharing! Pingback: Horror of the Mundane Variety Keeps Me A Bit At Bay… | "DESTROY ALL FANBOYS!" Pingback: #TBT: NES Classic Edition Headed to Retail 11/11 | "DESTROY ALL FANBOYS!" Pingback: Earth Defense Force 5: If You Just Needed ONE Game in 2017… | "DESTROY ALL FANBOYS!" Pingback: Zelda: Breath of the Wild Site Is A Breath of Fresh Air Today | "DESTROY ALL FANBOYS!" Pingback: Switch-ing: With Reservations (And Some Ironing), Yes. | "DESTROY ALL FANBOYS!"